Burning the midnight oil? As a LBPost.com columnist myself, I know deadlines! Fast access to high-resolution photos, ready-to-embed video assets, and quick turnaround quotes from a small business expert are all available from this resource page. I’m readily accessible through Twitter as @olgamizrahi or email for a quick custom quote. If I’m not available, Tess Woods Public Relations at 617-942-0336 will get back to you in a flash! Startup Nation, Olga Mizrahi: Distinguish Your Cause with "-EST"
Here are movies you can embed in your articles. To get the embed code, simply click on the play button for the video and then click on the "embed" button that will show up. This will give you the code you can place in your article. Limited Use Policy: The photos provided on this Press page are protected by U.S. copyright and trademark law but may be used without prior written authorization for editorial, informational, or educational purposes in print and online media, accompanied by the following attribution and link back to www.chunkofchange.com: "Artwork provided by Olga Mizrahi, ChunkofChange.com." No commercial use is permitted. 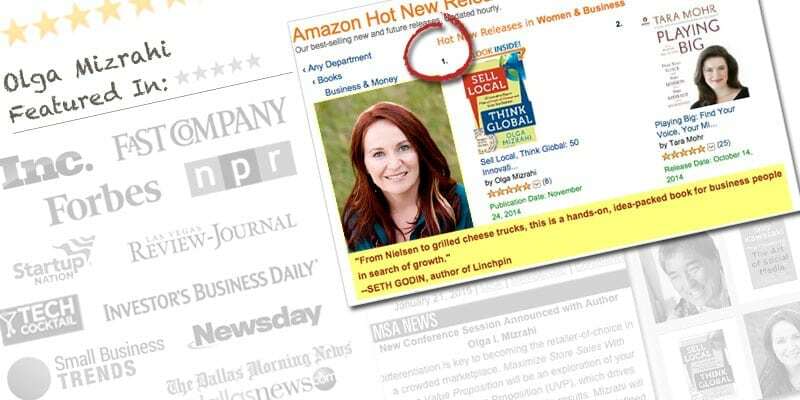 Olga Mizrahi is the author of Amazon’s Hot #1 book “Sell Local. Think Global.” She is a national speaker and marketing expert on the gig economy; a local Southern California business owner; a blogger for entrepreneurs and freelancers at ChunkofChange.com; and a small business columnist for The Long Beach Post. 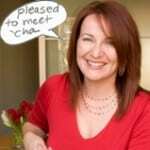 Olga Mizrahi’s fresh views on the freelance economy, personal branding, and entrepreneurial unique value proposition have been featured recently in Forbe, Fast Company, Inc. Magazine, and Investor’s Business Daily. 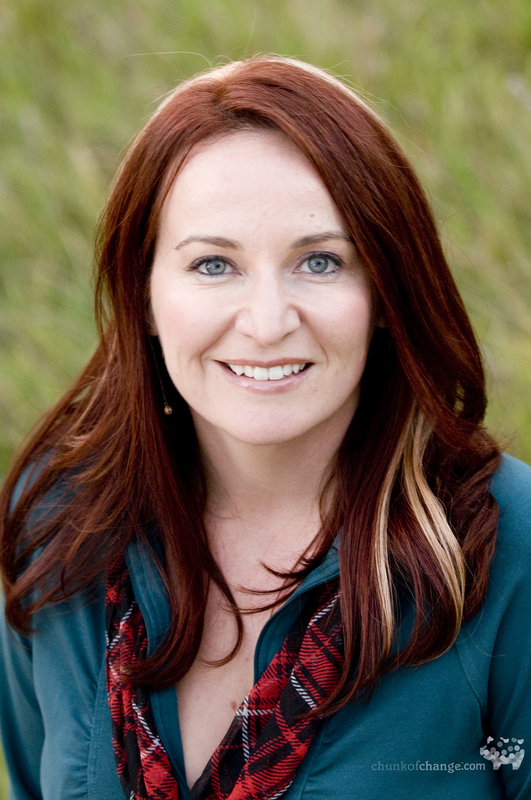 For nearly 20 years, marketing message and gig economy expert Olga Mizrahi has worked as a change agent, serving as the "first" in every one of her previous positions, both in corporate and academia. She was the first web design professor for University of California, Irvine Extension and Coastline Community College; the first web developer and new media lead for bond fund giant PIMCO; the first e-commerce director for a nationwide catalog retailer, which was eventually bought out by a Fortune 500; and the first to bring many contemporary retail brands online direct-to-consumer. After earning her MBA from Pepperdine University, Olga started a successful marketing and web design agency, ohso! 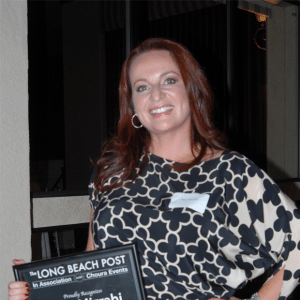 design, in Long Beach, CA, which was the first to take dozens of small businesses in the LA and OC area to the next level. 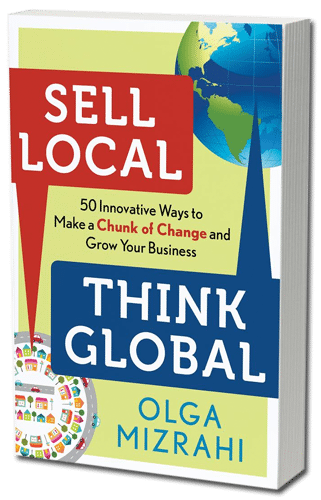 "Olga brought new and fresh ideas to the Women’s Business Council [through the Long Beach Chamber of Commerce] and the online media being used … and brought forth great results with a smile." ~ Carrie Avakian, Marketing Manager, E-filliate, Inc.
Olga’s attention to detail and professionalism is unmatched by anyone we’ve worked with to date. Her creative ideas and consistent assistance in helping to grow our business have gone far beyond the call of duty. For a great list of other really lovely compliments from others who appreciate my work, please see Olga Mizrahi’s Testimonials.